It seems that packaging regulations just keep getting more and more complicated. There is a limit on how many stickers one can overlap in cannabis packaging. Now, in Canada, packaging regulations are too strict, forcing everyone to look the same with no creative freedom. Packaging can go through many cycles of change and regulations. Just take a look at cigarettes. They started out free, and now must put a warning. In some countries (Mexico) an uncensored photo of the effects from lung cancer is placed right at the top of the pack. What I’m trying to say is, sure, it may seem like the regulations will never stop, but we have technology that can make it better. This incredible technology can allow packaging manufacturers, businesses, and marketers to comply with the rules and do everything else. The embedded scannable labels, also known as Near Field Communication (NFC) and Radio-frequency identification (RFID) tags can direct a user to a new window in a matter of seconds. Think of them as a digital version of a bar code. It enables identification down to the individual package level vs the barcode, which is restricted to the SKU level. These UHF tags are typically used in the supply chain to track goods and are not able to be read by a mobile phone. The read range for UHF tags can be up to 30 meters. These tags can allow packaging to be compliant while allowing the use of creativity, tracking, and more. 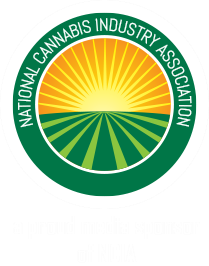 Tune in to issue four of Cannabis Compliance and Packaging where We discuss NFC with Tim Daley from NXP Semiconductors,the co-inventors of Near Field Communications technology.